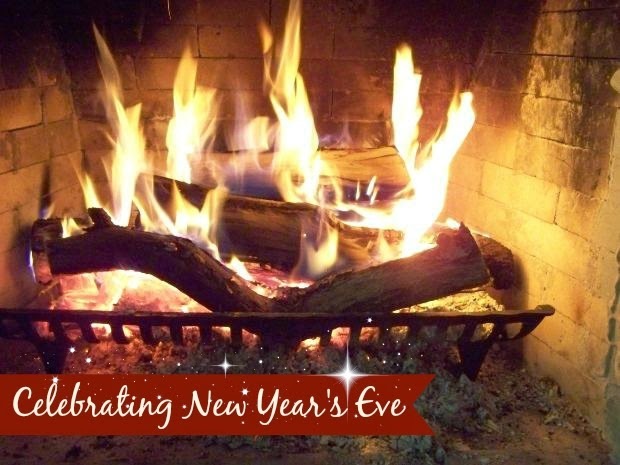 Our New Year's Eve celebrations are simple this year. 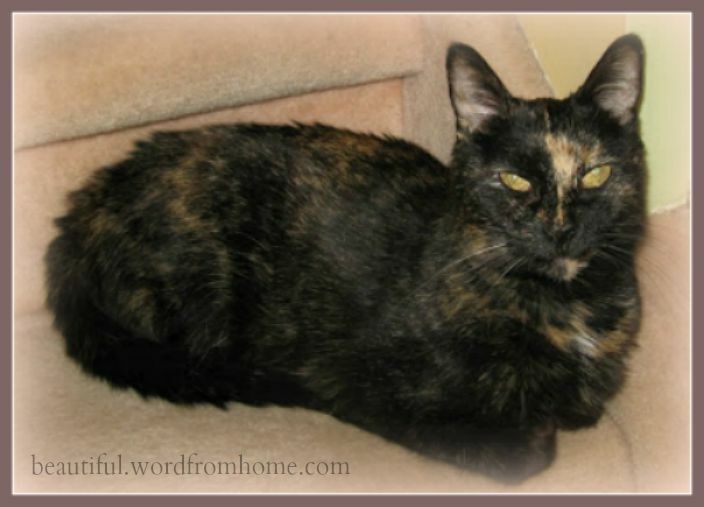 Miss Kitty, Hubby and I all voted to snuggle close to our own cozy fireside. We have food, movies, books, and each other... what more could we ask for? Perhaps a little bubbly to toast in the New Year. Enjoy your celebrations -- grand or cozy -- and may the New Year be blessed with many happy, healthy, and beautiful days for you and your loved ones. All the best in 2009! 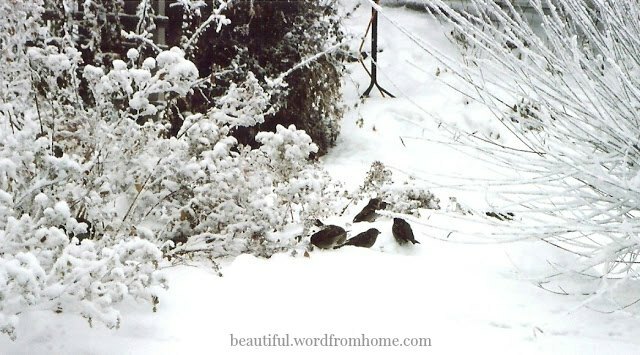 Remember I mentioned yesterday that my backyard was filled with birdsong? Well, this morning, with camera near at hand, I was ready for my fine-feathered friends. It's cold and blustery today, and the birds have been at the feeders with a vengeance. 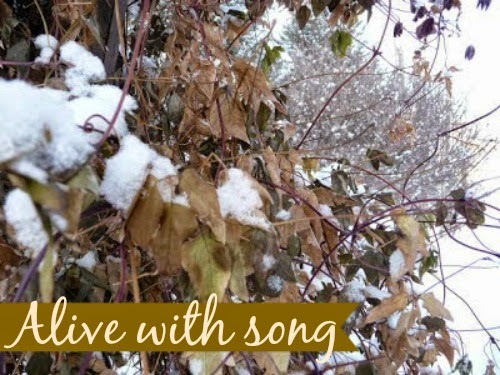 For all the plummeting temperatures, they still sit on barren branches filling the air with the sweetest of songs. It was as if I were listening to a choir in a grand cathedral. The Choir of the Great Outdoors! 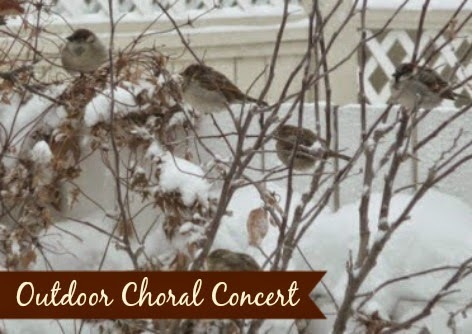 Here's a feather thought to ponder... if these little sparrows can sing their hearts out in the middle of winter, maybe singing would be a cheery way to help us out when we're experiencing our own midwinter doldrums. "The hills are alive with the sound of music, With songs they have sung a thousand years..."
Do you recall these first lines to the opening song from the movie The Sound of Music? On this bright and chilly day, it's my backyard that's alive with the sound of birdsong. Yet, when I look out, I can't see anything... that is, until I peer more closely at the frozen shrubs and vines which happen to be aflutter with tiny feathered 'ornaments' -- jostling for nestling space away from biting winds. I'd be hard pressed to tell you what my most favourite sound might be (I have many), but on a frosty winter's afternoon, it would have to be the cheeky chickadee whistles and cheery sparrow songs that win out! So glad for our fine-feathered friends! With a new year almost upon us, do you ever find yourself fretting about the future? Our world certainly is tipsy-turvy, chaotic even, but when we look back into history, every age and era had its grim, dark times to get through. Perhaps that's why I find comfort from this little meditation by St. Francis de Sales (1567-1622). He lived in Europe during the divisive and chaotic times resulting from the Protestant Reformation, so he certainly knew about societal upheaval. Today I offer it to you as my little New Year's gift with the hope and prayer it gives you courage to face this brand new year with calm and peaceful hearts. will take care of you tomorrow and everyday. my heart has trusted in Him and I am helped. He is not only with me...but in me....and I in Him." 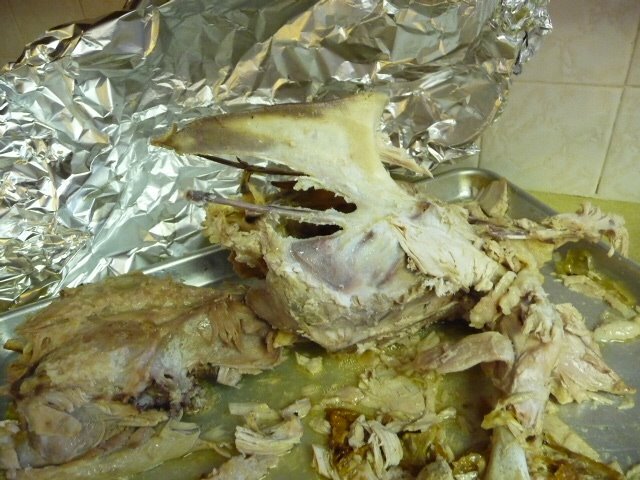 This is definitely the first time I've ever taken a picture of the Christmas turkey after dinner. It certainly puts a whole new spin on that old movie titled "Remains of the Day" starring Anthony Hopkins and Emma Thompson. We had a wonderful Christmas Day with family yesterday. The turkey was delicious! And Santa was most generous in his annual distributions. Today is traditionally Boxing Day here in Canada. It's still a holiday for many people. For our family, quite often it's a quieter day, one where we can relax after the hubbub, as we nibble on leftover turkey and stuffing, settling in somewhere comfy to play with our toys or begin any new books that may have been tucked into our Santa stockings. Wholeness -- nothing missing, nothing broken. visions of sugar plums danced in their head." As a little girl, I loved Clement Moore's poem 'Twas the Night Before Christmas. There was just so much scope for the imagination in each stanza. I certainly could see the cherry nose and the belly shaking like a bowl full of cherry jelly. However, I must admit I could never quite envision a sugar plum. We didn't have such treats in our holiday traditions. Were they plums with sugar sprinkled on them? I just couldn't see that being the case. I mean, kids like me were dreaming about them; surely they'd be more exciting and exotic than that! One day, all these years later, I finally went in search of a recipe -- what exactly was a sugar plum? Oh my, there were so many recipes; I finally settled on one a fellow blogger said had originally been in Saveur Magazine. I gathered the ingredients. Set out the bowls of fruit and nuts and powdered sugar, not forgetting the spices. The end result was delicious and well worth the effort. Certainly worth dreamin' about. Combine the honey, orange zest and spices. Add almonds, apricots, dates and icing sugar. Mix well. Using a teaspoon, take pieces of the mixture and roll into balls. Then roll in extra icing sugar. in the refrigerator, up to one month. Except, they're so yummy with tea you won't have to worry about them getting stale! Please note: In the original recipe, the icing sugar was not meant to be included in the mixture; it was meant to coat the balls, once formed. But, as I didn't read the recipe properly (oops), I added the icing sugar in with the rest of the ingredients. It didn't seem to hurt the texture as they still rolled really well, and they were still quite a toothsome delectable. After all that, hopefully I'll have my own sugar plum dreams tonight. Hints of the coming Christmas season began early in December at our house when I was growing up. Intertwined with the carol singing and jingle bell songs on the radio was the familiar whirr of my mother's electric sewing machine, not to mention the hiss from the iron as newly sewn seams were pressed. 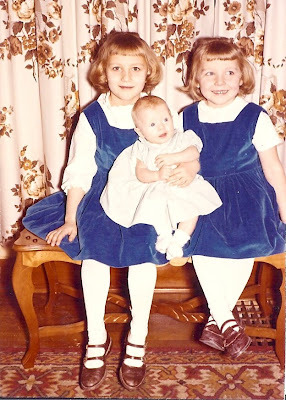 Of all the clothes that Mom made for us all through the year, it was the pretty Christmas dresses we loved best of all. 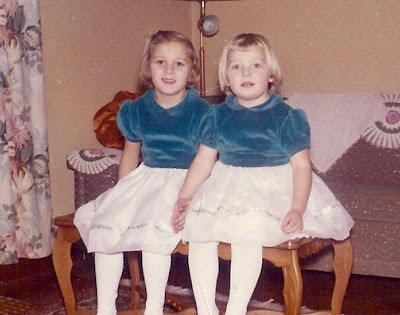 You see, these dresses were made especially for our Christmas Eve Program at our little country church -- it was the highlight of my entire year! 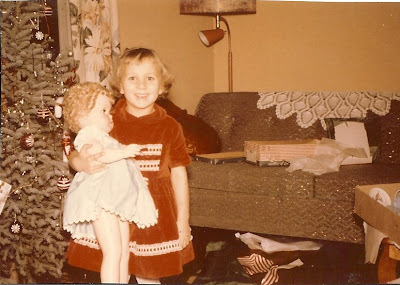 Here I am in my red velvet dress holding my new walking doll. With one leg slightly shorter than the other, I thought she had polio. The anticipation would begin to swell as Mom pored over pattern books and bolts of fabric. Amidst scissors, tape measure, and stick pins, sheets of ecru tissue paper rustled as each pattern piece was carefully laid out on the fabric. It was always an exciting moment when we'd hear the first snip of scissors crunching their way through the layers. Soon threads littered the floor, and we'd hear a whoosh as the hot iron pressed another newly sewn seam. With its short puffy sleeves and bodice from peacock blue velvet and a shimmery, frothy skirt of chiffon that billowed when we twirled, I must admit this was my all-time favourite Christmas dress. There was something, too, about the way the chiffon felt slippy-slidy when I pinched it between my fingers. We'd sigh impatiently as Mom pinned and twirled us around on the chair, checking hems and seams as the final overview was made. But what a proud moment when, on December 24th, we stood in our newest finery with the rest of our Sunday School class reciting mostly memorized poems and warbling through partly familiar carols. to have a 'real' doll for Christmas that year. As a young girl, I didn't fully understand the deep love my mother had for her children. I didn't recognize the sacrificial love that went into creating these pretty new dresses. The wonder of it all is that these gifts of love were wrapped up in the celebration of the Christ Child who came to express the love of a Heavenly Father to our world. Who would have thought that the whisper of tissue paper on velvet would echo that eternal love to three little girls? Today I want to share this beautiful old prayer with you. I don't know about you, but I feel something special on the inside when someone else says a prayer over me. I feel nurtured and blessed. It is my wish that you will feel that special 'something' too as you read this one today. Who sets the solitary in families: We commend to your continual care the homes in which your people dwell. Put far from them, we ask you, every root of bitterness, the desire of vainglory, and the pride of life. "I'm dreaming of a white Christmas with every card I write..."
Yes, Virginia, I'm still writing out Christmas cards. I may be missing the postal deadlines, but since this whole tradition of writing cards and letters is about connecting with loved ones, I'm not stressing about any deadlines (mine or anyone else's)! I love the whole tradition of shopping for my selection of Christmas cards and then choosing the right style and message for the right person. 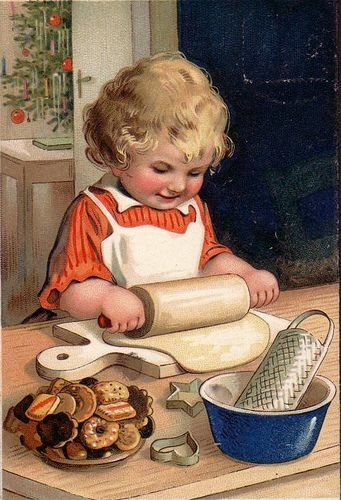 I remember the times, as a small girl, when Grandma and Mom would sit around the big table in our farm kitchen, surrounded by boxes of assorted greetings cards. They seemed to make a fuss about choosing the perfect card. Perhaps, because both the card and the words written inside were meant to convey in some small way the message of their hearts. I never stopped to think about it until this very moment, but I guess the tradition was handed down, because I still love to fuss over choosing just the right card for the right person. And... as a child, there also was something most satisfying about watching the stack grow as envelope after envelope was addressed, licked, and stamped. The past few weeks our mailbox has been happily stuffed with greetings coming from loved ones far and wide, and by this time tomorrow, my own greetings will be winging their way back to them with hugs and love and wishes for a Happy Christmas. 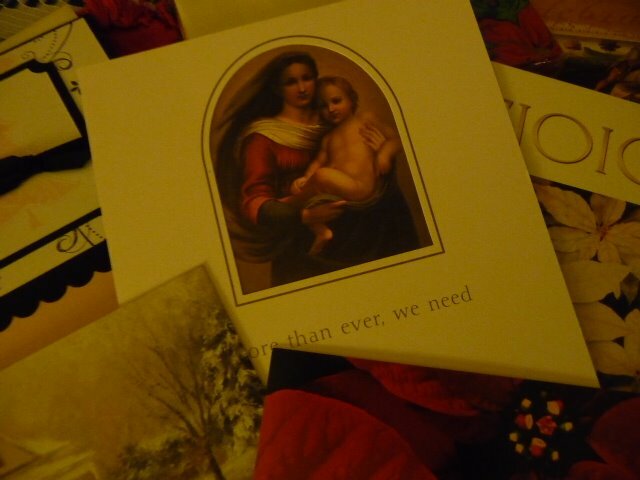 With life so busy it's tempting to let go of the Christmas card tradition. But as the days draw closer to this special time of year, I realize I don't want to miss the opportunity to touch base with friends and family... to say, I think of you and cherish the memories of our encounters, to say I'm still here and I'm glad you are too! (Hum-m-m-m) "...with every Christmas card I write..."
It's a very special day here in our household, because today wraps up the very last day of Rick's multi-decade career in the world of public health. It's been a good career, but there comes the time to wrap up one chapter and begin a new one. It's a funny thing, a person anticipates and looks forward to a momentous event expecting to wake up on that day feeling different somehow. But here we are, following the usual morning rituals, feeling as if it's quite an ordinary day, yet getting the sense that it really marks the end of one chapter as a new one is about to begin. For both of us! 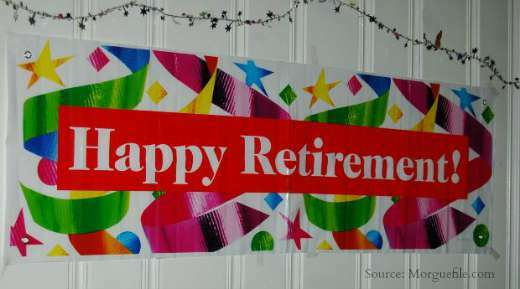 It's just days before Christmas -- I think this is a perfect time to retire. All through the holiday season, it already feels like you're on a holiday, but then when it's all over and everyone starts heading back to work, you get to wake up that first morning and say, 'Yippee, we don't have to get up this early any more on cold, dark winter mornings!" And you can either roll over and go back to sleep, or you can pad around in your jammies marveling that you can actually enjoy your cup of coffee with leisure. Can you see me grinning? What fun to plan a new way of living ... working, playing, enjoying home and garden, family, traveling, learning, working on projects and passions we never had time for. For me, retirement doesn't mean quitting on life, but now we have choices and time, not to mention energy, for new things that matter to us at this stage of our lives. I must be off as I have lots to prepare today. Stay warm, stay calm, stay safe! 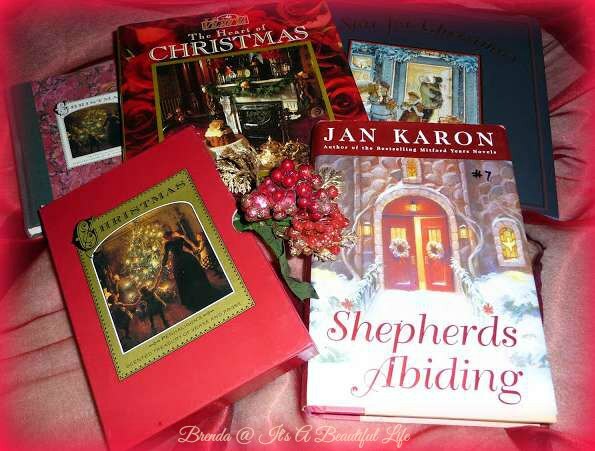 Miss Kitty and I have been reading Jan Karon's Christmas novel Shepherds Abiding these past few days. An earnest reader could finish it in a few short hours, but I'm savouring it. I didn't want to speed through the pages as though I were flying around the world on Santa's sleigh come Christmas Eve. 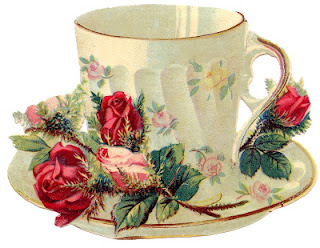 By the way, the word savour means 'to enjoy and appreciate slowly; to enjoy (a pleasure) for as long as possible'. In the Shepherds book, Father Tim is working on a time and labour intensive project. It's his wife's Christmas present, and as time is fleeting, at one point he ponders if he should choose a larger tool to just get the job done sooner. He thinks about it and decides, no, he wants to give it his best effort, his deepest concentration, no matter how long it takes. He did not want to blast through an experience without savouring it or reflecting upon what he was doing. Over the years I've been learning to slow down so that I, too, can savour my experiences more fully. I used to be so impatient to get to the end of a project, hardly noticing the process. That is, until I met and married Rick, who is genius at slowing the process of any project he's working on ... willing to spend the time and effort, and enjoy the prep work, and each step along the way. Watching him in action has helped me to slow down and enjoy the journey along the way. As the days skate by, it's easy to feel rushed off our feet as we prepare for the holiday season. But instead of mindlessly rushing through my 'to do' list, I do try to slow down and pay attention. I want to enjoy the time I spend making sugar plums and figgy pudding. I want to savour my time as I finish wrapping up my gifts. I want to linger over lunch with a special friend (even if we only have an hour, to live in the moment for all it's worth). So... are you savouring? Enjoying? Appreciating? I've been listening to Christmas carols at my house today. I've had fun singing along as I go about my activities. I've been dreaming of a white Christmas, singing joy to the world and sleigh bells ring, and imagining the kids' version of while shepherds wash their socks by night all seated on the ground and Hark the Hairy Angels Sing. Earlier this afternoon, I went out to do a couple of errands and shop for one gift. 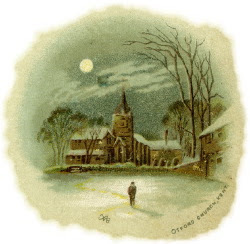 When I came out of the shop with my parcel, the wintry twilight had fallen all around, and the modern parking lot was magically transformed into a Currier and Ives Christmas card. It made me feel quite magical myself! 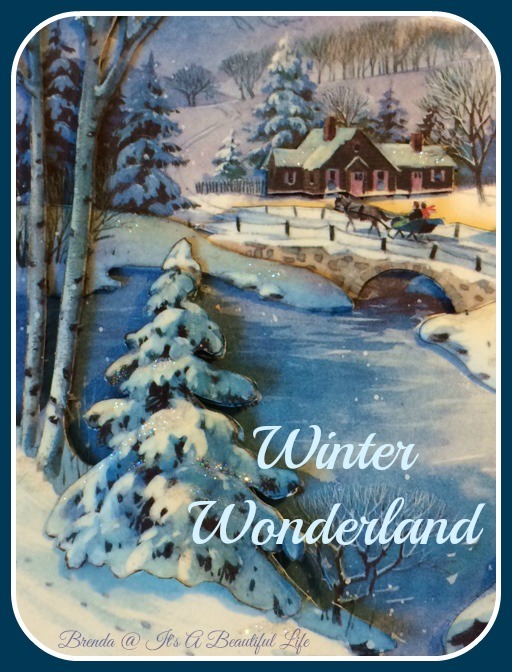 It was a wonderful moment, because sometimes I have wished I could live in one of those idyllic winter scenes found on greeting cards. Now we're all snuggled in for the night, enjoying the ambiance of cozy lights and furry slippers. No wonder I feel songs bubbling up from within! I just came back from visiting Sarah at Pink of Perfection where she jotted down 10 creative ways to enjoy the holiday season that have 'nothing to do with buying presents'. I found her list so magically inspiring, that I invite you to visit her site and see for yourself. I won't try to 're-invent the wheel' when she's already thought up such lovely ideas to add festive charm, warmth, and beauty to our holiday celebrations. One idea Sarah shared is to have an evening of candlelight -- speaking of which, that reminds me of the true story my sister just e-mailed me. Imagine it...you've invited a houseful of people over for a party and just before they all arrive the power goes out. With no electricity to light a dark winter's evening and no oven to finish baking goodies for people on which to nosh, what do you do, cancel? "The B--'s were the first to arrive, followed shortly by the M--’s who carried a small Coleman lantern in hand since the power in our street had, moments before, gone out. 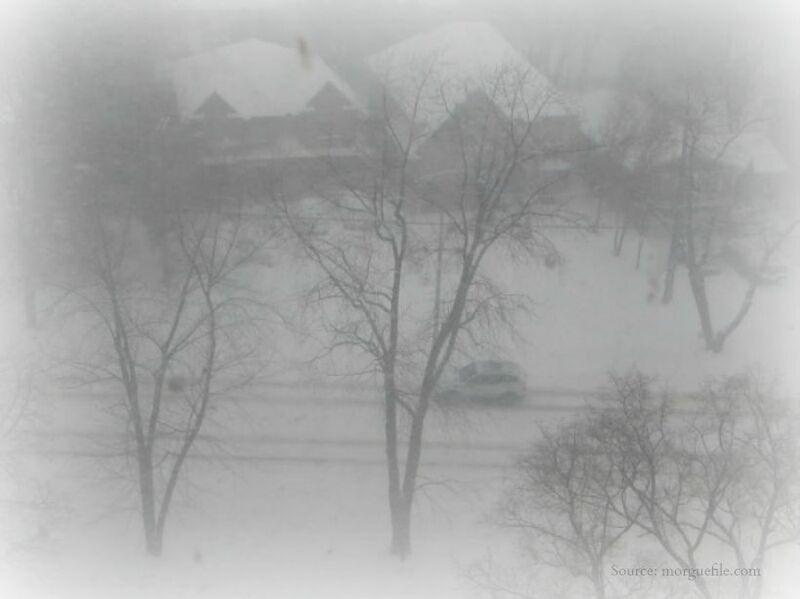 We were sure hoping it would not be long till the power came on for -27C for the night would be mighty cold. One by one our guests arrived, and I ran around lighting candles (Brenda, that candelabra you gave me once looked absolutely gorgeous). The kids found flashlights, neighbours phoned the electric company, and we all laughed at the unexpected turn of events. Well, the power remained off for about two hours. My son and the other young guys enjoyed the fire in the fireplace; my daughter and the other girls ran from the basement, to the living room, to her room with the flashlights. The adults gathered … where else… in the kitchen. I had a Christmas puzzle spread out on the table – a few people worked on that for a bit by candle and lamp light, but mostly we sat around, visited and laughed. Thankfully, most of the food was prepared – lots of cold stuff, and the glazed meatballs and bean dip kept warm on the stove. One dish I was really looking forward to serving (well, actually eating as many as I could) was the good old water chestnuts soaked in soy sauce and rolled in bacon. Well, no oven, so no bacon rolls. Except, I noticed later in the evening there was one bacon roll sitting on an otherwise empty plate. I laughed to Hubby and the other men who were gathered around the other food in the dining room about this – one fellow spoke up, “Oh, I tried those – they were good! I ate two!” See, in a dark room lit cozily by candlelight and warmed by the laughter of good friends, even raw bacon can taste delicious! We even got to enjoy a chocolate fondue once the little tea light melted all the chocolate. It was a WONDERFUL evening, despite not going quite as planned, and I think a party none of us will ever forget. Everyone left saying what a wonderful time they had, and that is what throwing a party is all about!" Have yourself a very cozy evening... maybe even light a candle or two! "Cash in Advance. No refunds EVER!" You know it's Christmas when... people start bringing out the fruitcake. Sometimes fruitcake gets a lot of bad press, but for me and Rick, a generous slab of rich homemade fruitcake paired with a fragrant cup of Earl Grey tea is a perfect way to enjoy an afternoon break around Christmas time. Heather, a long time good friend and a member of the Birthday Club to which I belong, gave us a porcelain fruitcake bakery for Christmas one year. It's a long standing joke about how she despises fruitcake -- it being an awful addition to any self-respecting buffet table in her view -- so we love to share fruitcake jokes and hunt for zany fruitcake cards for us to giggle over. I don't know if it's clear enough, but if you squint really hard, you may see the sign in the very first picture. Notice what it says about shopping at this particular fruitcake bakery: "Cash in advance. No Refunds EVER!" Now, I would be most interested in your feelings about fruitcake. 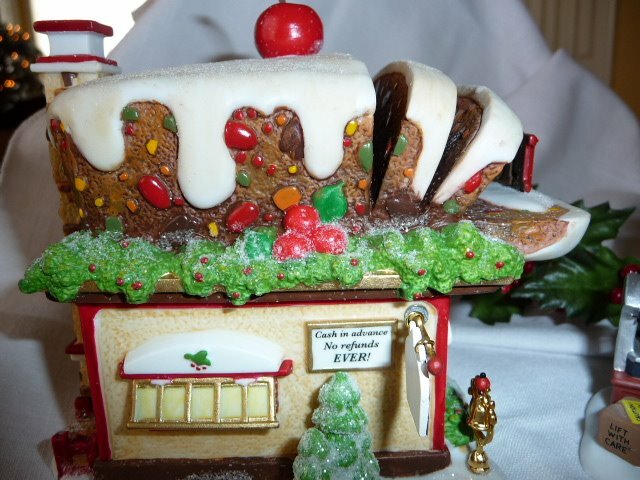 Is it an integral part of your larder or is fruitcake banned from your Christmas celebrations? It was a bitterly cold and wintry day. It would have been a good one to stay indoors, but it was a day we'd planned and waited for with eagerness, so we braved the bitter elements to meet two dear friends for a 'Christmas-y' day out on the town. In spite of winter winds, it was a warm and sweet time of friendship and fun over yummy food and delightful conversation. Glad to be back at home where warmth from the fireplace, not to mention one furry kitty cat, makes things toasty again. 'Twas a whirlwind of a day with all manner of events and activities. As the day wound down, I so looked forward to composing something beautiful for this evening's post, but it seems the settling peace around me has also begun to seep deep into my thoughts. And, they are swirling into images of curling up with a toasty quilt, a purring kitty cat, and a nice warm shoulder to cuddle against. I ask you, who can think coherently with such pictures floating by? So, without any further effort to shake them off, I'm wishing you a pleasant evening and a good sleep. Nigh-night! A few years ago I started a new tradition. Of course, I didn't know it would become a tradition at the time. 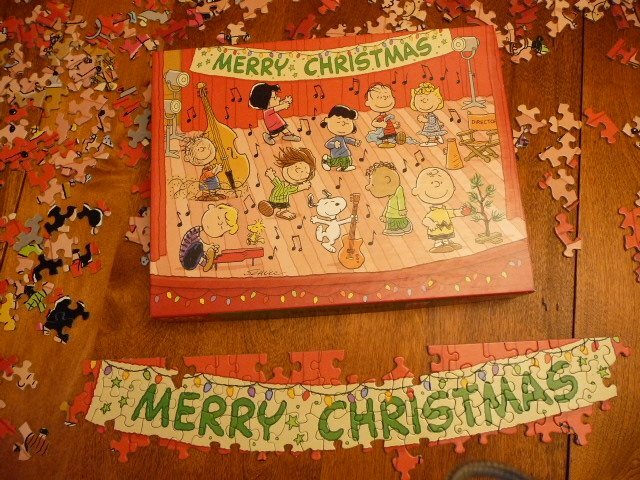 I've started collecting Christmas-themed jigsaw puzzles, and each Advent I spend the season putting one together. The puzzle pieces sit on a table in the family room opposite where the tree is lit up. As I'm about my business on any given day, whenever I pass through the room, I stop and put a few pieces in place. 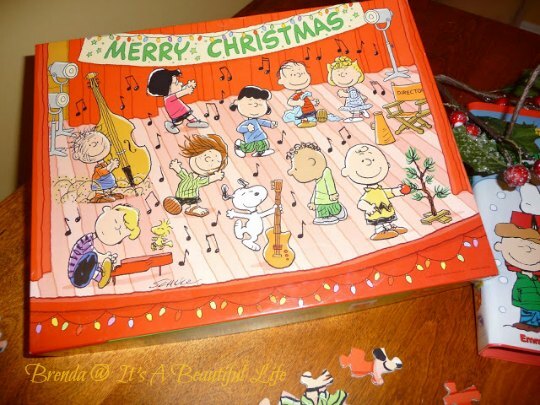 The very first puzzle I bought was "A Peanuts Christmas" by Springbok. Funny that, because as a child I never really cared for the Charlie Brown Christmas special. We'd watch it every year, but I'd generally feel sad for Charlie Brown, who seemed so alone with his pathetic little tree. Years later I was reminded of something I had forgotten about that show! The story doesn't end with Charlie staying sad. Do you remember the part when Charlie Brown asks so poignantly, "Isn't there anyone who knows what Christmas is all about?" For me, that's Christmas. I do all the decorating, baking, partying, singing, wrapping presents, eating and visiting as a joyous celebration to honour the Child, Emmanuel, God with Us. Linus, thanks for the sweet reminder of what Christmas is about for me. 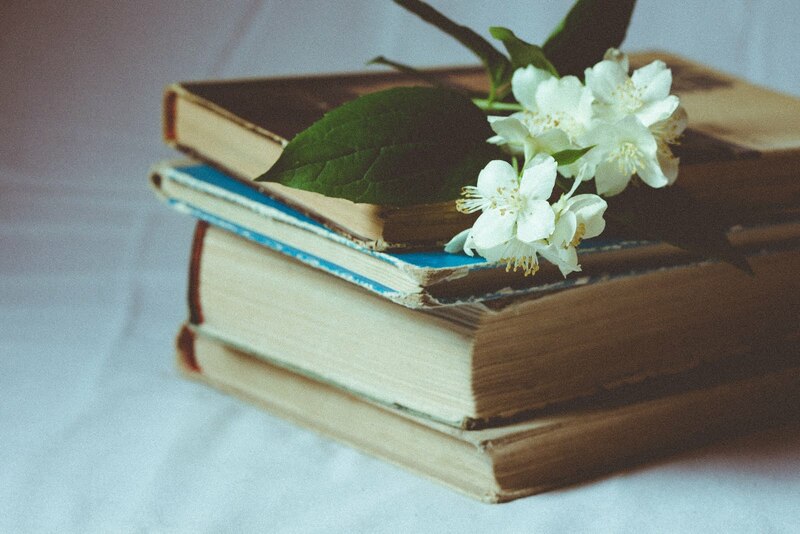 "To read a book for the first time is to make an acquaintance with a new friend. To read it for a second time is to meet an old one." It's that time of year again. I've pulled out my ever growing collection of Christmas stories, books and magazines. It's like meeting old friends and, just like special friends, they add so much pleasure to my life during this Christmas season. 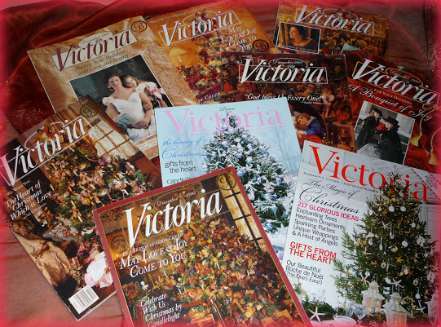 My seasonal reading also includes leisurely browses through all my December issues of Victoria magazine. Each magazine is laden like a banquet table with beautiful photography, inspiring stories, and so many wonderful ideas -- I always come away filled with inspiration and a gladness of heart. Do you like pulling out special books and magazines for this time of year? What are you reading right now? As I write, I hear the wind howling around the corners of the house. Makes me grateful and happy to be inside this evening where it's cozy and warm with my pile of books. I pray your evening is also filled with 'cozy and warm'! You've been known to use a flea comb on your own hair in a pinch. You steer people away from a certain chair with the words, "Sorry, that's Fluffy's". You choose to sit perched on the very edge of your computer chair until your behind is numb, because you don't want to disturb Kitty while she's having her nap. Here's to a purr-fectly meow-velous day! Monday morning ... and though it's gray and overcast, there's a cozy feeling in the air as snowflakes, soft like fluffy goose down, float from the skies. Oh the joy and the bliss of newly falling snow. It's as Andy Goldsworthy once said, snow provokes responses that reaches right back to childhood. I feel a giggle of joy on the inside. Snow and Christmas -- in my child's eye -- always go together. My feet hit the floor running this morning. I woke up hap-happy, even though I have a pile of things to do today. 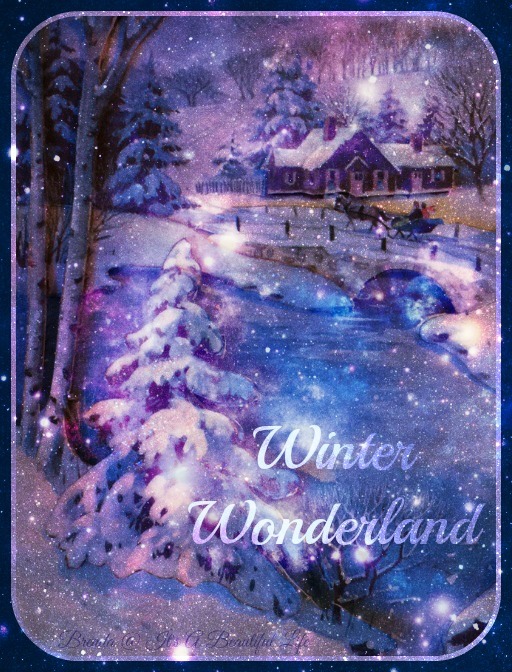 For today, it's all fun, yes, even the chores, as I'm starting to feel the curling warmth of the Christmas spirit gently fall around me, as I see those snowflakes falling on in the garden outside. 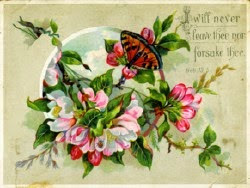 Thank you, dear beautiful friends, for your kindred-heart friendships as we share our blogging journeys together. They truly are a gift that makes my life fuller and sweeter. It's been a busy, but happy day. 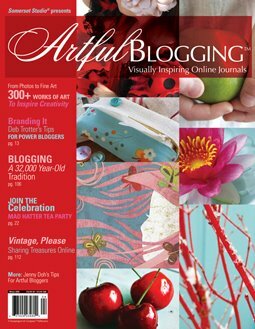 During my jaunt through town doing errands and shopping, I FINALLY found a store that carries Artful Blogging. I didn't know such a magazine existed until I saw it highlighted on Bella Pink's blog (link no longer active), and I've been looking for it ever since. My, my, my.... what a feast for the eyes and imagination. If you are a blogger and you haven't seen this yet, you just gotta go and find a copy! Today I'm joining bloggers at Friday Fill-Ins. Our host starts the sentences and we finish them with our own responses. To join in the fun, click here for the questions. 1. Snow covers my neighborhood like powdered sugar on Turkish Delight. 2. 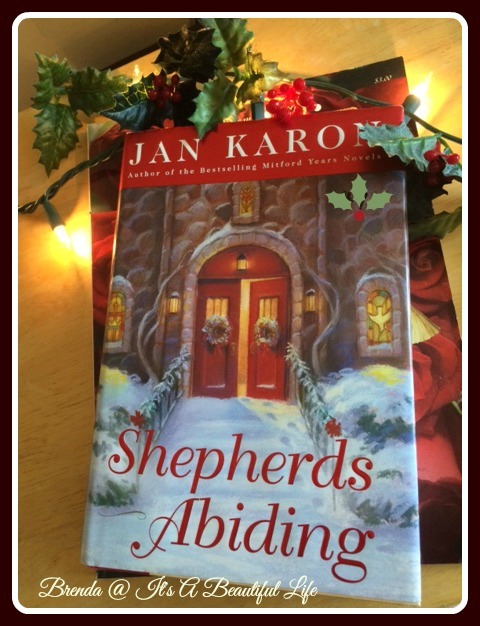 I'm looking forward to reading Jan Karon's "Shepherds Abiding" this weekend. 3. Cafe Haven is the best place to get the awesome-est latte ever! 4. One of my favorite old TV shows is the old holiday variety specials when famous people sang Christmas carols and songs. 5. I'm done with trying to figure out everyone's expectations and trying to meet them. 6. 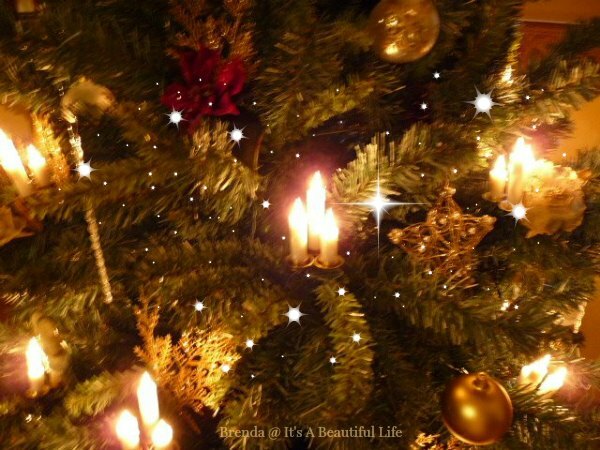 The most enjoyable thing around the holidays is the wonderful mix of happy social times with people and the quiet, reflective times alone or with God. 7. And as for the weekend, tonight I'm looking forward to snuggly time with my hubby and my kitty cat, tomorrow my plans include an outing with new friends to a ladies Christmas Brunch, and Sunday, I want to attend the Alberta Baroque Ensemble's Christmas Concert with my hubby! No matter how busy you get today, remember to grab any wonder-filled moments that come your way with both hands! Imagination is a wonderful gift. How else would the children in The Night Before Christmas have had visions of sugar plums dancing in their heads? No doubt you can probably reach back into your own childhood and remember your own wild and beautiful imagination. 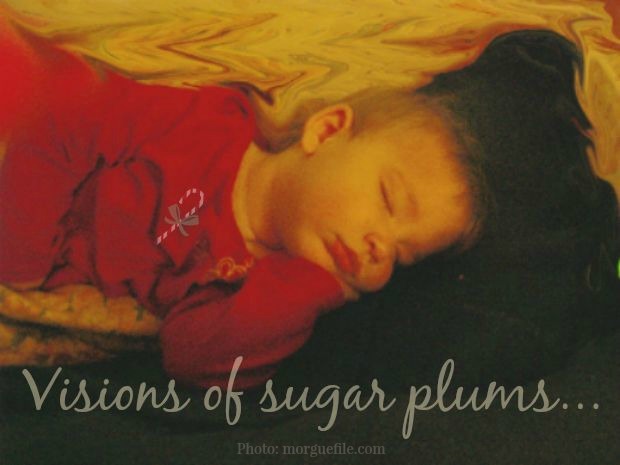 So while your kids dream about 'sugar plum' ipods and the latest video games this Christmas, why not dream and imagine your own sugar plum visions for yourself. What do you want? If folks like Walt Disney can dream a dream and do it, it's possible for us too. 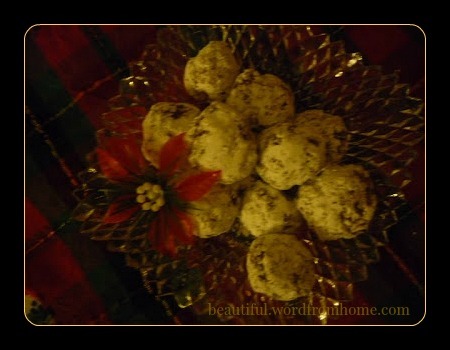 Now, if you're wondering what sugar plums really look like, check out the recipe here. Did you like Advent calendars as a child? Does your child 'inside' still enjoys opening new windows every morning in December? 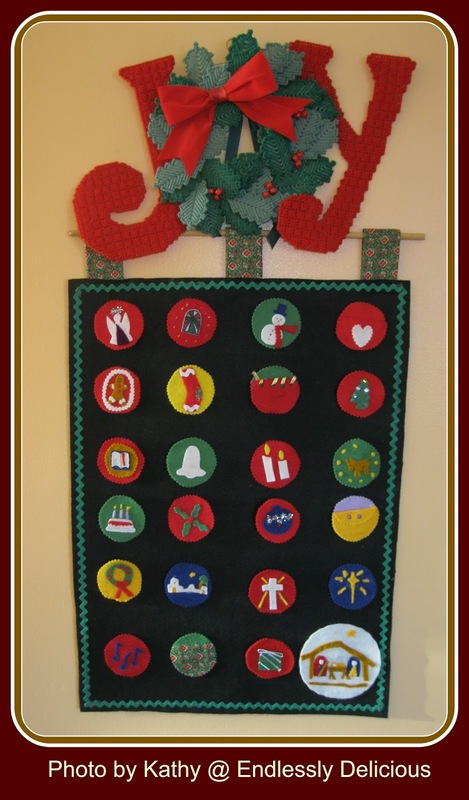 If so, you might be interested in an advent calendar designed by a fellow blogger, Violet, over at Promptings. 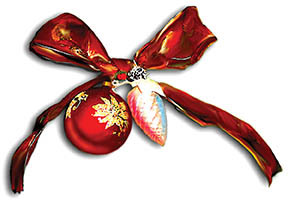 She is sharing with her readers a new 'window' each day this month until Christmas. It's the time of year when things get busier than usual. Suddenly we feel overwhelmed and the fun ebbs away like the tide. Why not stop for a moment and breathe deeply. Do once, twice, three times. 1. 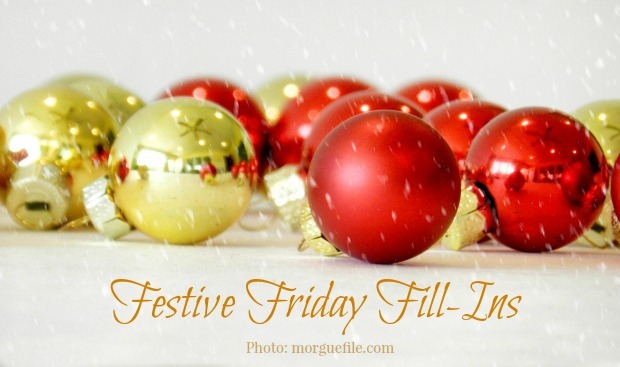 First, ask yourself if everything on your To-Do list is really necessary to make your holiday merry and bright. Keep what's important and rule out what might just be excess and clutter for you. For example, I really enjoying writing and sending greeting cards and letters to keep in touch with people, so I make time for this tradition. But I know lots of people find it a huge burden. If it's just a chore -- and your heart's not in it -- who says it has to stay a part of your holiday tradition! Do the things that make your heart sing and rejoice. 2. Schedule a date with a good friend you don't see often. Visit a local site, like a greenhouse, that's all gussied up, festive and fragrant with blossoms and balsam. 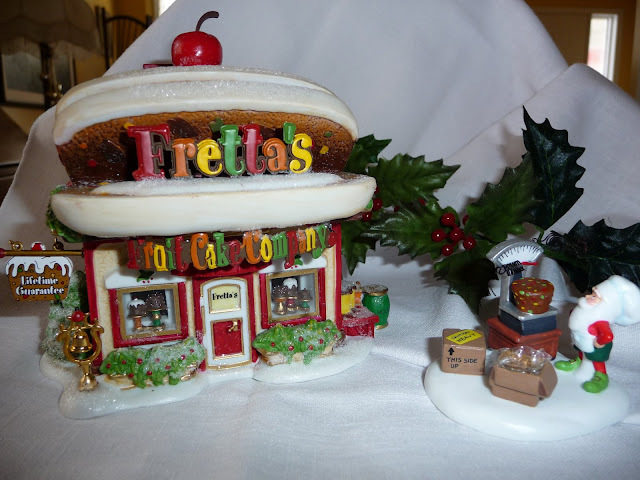 Browse through their Christmas display and relax over a steaming latte in a cozy setting. 3. Treat your body like a queen. One way is to stay away from foods that make you feel heavy and uncomfortable. Of course, we all want to enjoy the rich foods that come out only at Christmas time, but I'm learning to temper that with eating things that don't make me feel sluggish afterward. For instance, we go through boxes of mandarin oranges at this time of year. They are a treat, they have lots of vitamin C, and yet they don't make me feel heavy when I've eaten them. 4. Carve out mini rests for yourself during the day. And I do mean mini -- just 60 seconds can make a difference. I'm always surprised at how long a minute actually feels when I stop doing and just 'be' awhile. For me, the key is to focus on relaxing and not think about what I'll do when I start moving again. Here's hoping these ideas reduce the stress so that you can enjoy these days more. 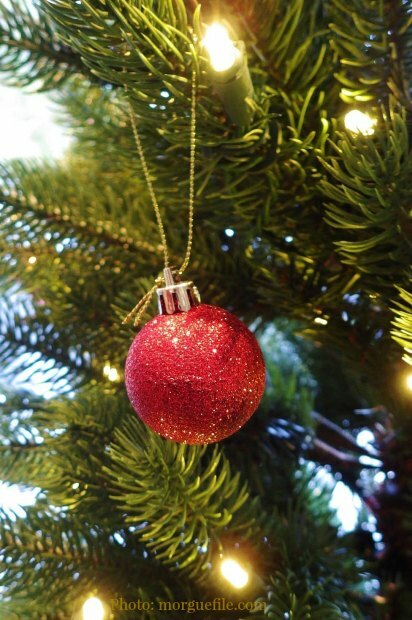 It's the first of December ... and for those of us who love Christmas, we can gleefully start our holiday preparations in earnest, which includes focusing our attention more closely on the gifts we want to give this year. Of course, for some of us, that might cause more stress than delight. It's so easy to get caught up in the social obligation of gift giving at this time of year. Instead of feeling a sense of joy and wonder, we can start to feel the pressure because it's expected of us. I don't know about you, but I don't want to receive something from someone if they only feel a sense of duty to give it to me. I don't want to give in that spirit either. I don't shop the way I used to, and I no longer play the game of guessing how much someone might spend on me so that I might give something of similar value. The stress I used to carry as I tried to figure that out -- it still gives me the shudders. Always wondering if it was the right thing, if I spent enough to indicate some reasonable measure of 'love'. I assume that, right or wrong, it creeps from a mindset of commercialism and consumerism that seems to be a mostly North American malady. Diamonds and fancy presents are not the only way to express a measure of love. Now, if you have the ability to share those kinds of gifts, by all means let those items be an expression of the love you have in your heart. And, for many of us whose pocketbooks aren't as thickly padded, we need to somehow let that pressure go. And the means we have within our reach, that's what we use. Sometimes the best gifts are those wrapped in beautiful paper and bows; sometimes they are less tangible but still as life-giving: gentle and affirming words, generous giving of time and energy, providing acts of service, to name a few. Large or small ... only as long as it speaks from the heart. "You I notice ... you I cherish." 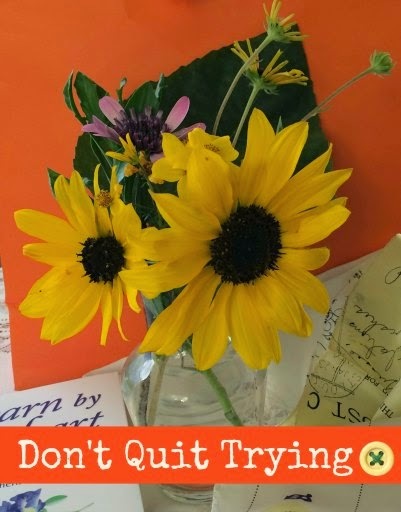 "In trying times, don't quit trying." if we don't get discouraged and give up." We all know how easy, oh so easy, it is to stay in our peaceful comfort zones. After all, it's nice, predictable, and comfy... just like a pair of fuzz-less, old slippers. I must admit though, sometimes too much of the same thing gets just a little bor-ing. Like those old slippers, nothing hurts or pinches anymore, they 'schlep' so nice around the house, but, alas, they've been around so long, they've lost any sense of pizzazz. Recently I've been thinking that maybe it's time to move out of the comfort zone. 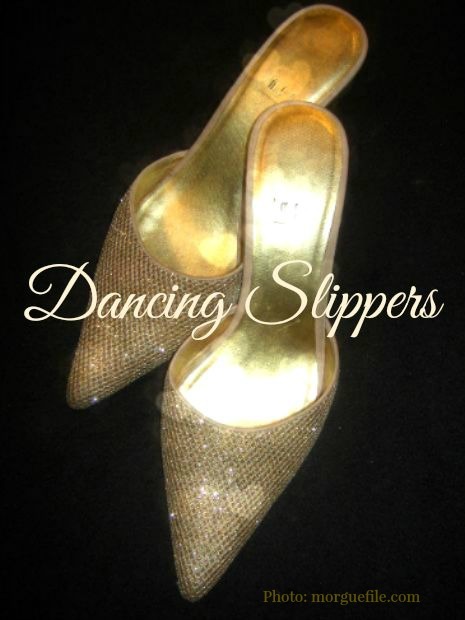 And I think I'd like a new pair of slippers -- maybe even dancing slippers this Christmas. I'm ready to venture further afield. Creating this blog has given me the courage to actually consider pulling off the shelf one of those binders in which I've got pages of notes and research for the beginnings of a book. And maybe I'll actually gather the courage to sign up for some tango lessons with my hubby (I do love that movie with Richard Gere and Jennifer Lopez, Shall We Dance). Who knows what exciting new challenges are waiting if we move out of our comfort zones, even just a step or two. I'm ready to try on some new shoes! How about you? where I knew I wouldn't fail. On that day ten years ago we looked deeply into one another's eyes and said those wonderful two words, "I Do"! Today we celebrate the fact that we'd say them all over again. "For me God hath provided thee" is the phrase inscribed inside our wedding bands. A perfect description of how our two lives came together. I tried looking for someone on my own before and it never worked out, but as soon as I took my hands off and said, God, will you be my Matchmaker, this wonderful man came into my life just months later. I came home from work one day, and there he was... standing in the garden. It turned out that Jean, my dearest friend and housemate, and Rick had both enrolled in the same Master Gardener Course. Rick, having given Jean a ride home from class that first day, was in our backyard, inspecting the garden with Jean. When you let God pick him for you, He does it perfectly. Sometimes, it still boggles my mind how beautifully our lives came together, how we fit hand in glove. Truly, a match made in heaven. 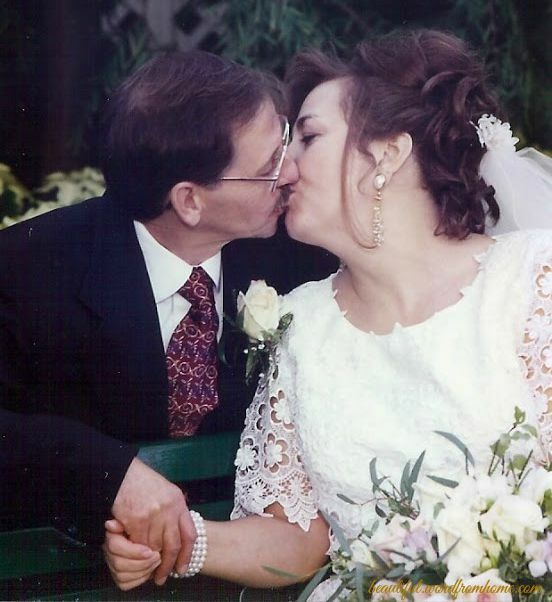 Happy Anniversary, dearest Husband! You are still the most wonderful man in the world, and I'd still follow you to the ends of the earth. Joy! Joy! the greatest of these is Love." Look what I found, Mom! 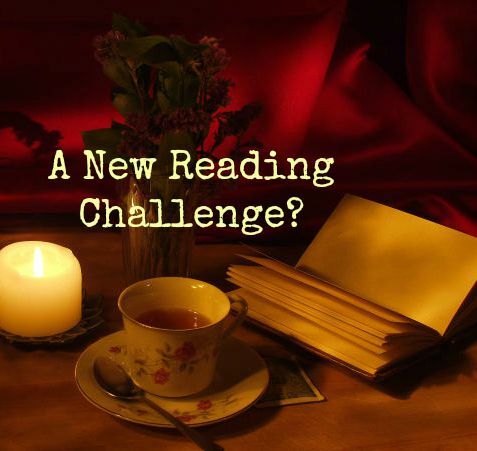 Another reading challenge for the new year. This is a small challenge with only six categories but it looks like a fun search to find suitable book titles to match. If any of you want to join, click here for information. but please don't use the same book for more than one category. As I look back at my blogging challenge of the past 100 days, it turns out that I followed a series of steps that are often taught in the Mary Kay (skincare and cosmetics) world. I've noticed that what I've been learning as I write monthly newsletters for consultants in the industry easily translates into other areas of my life. 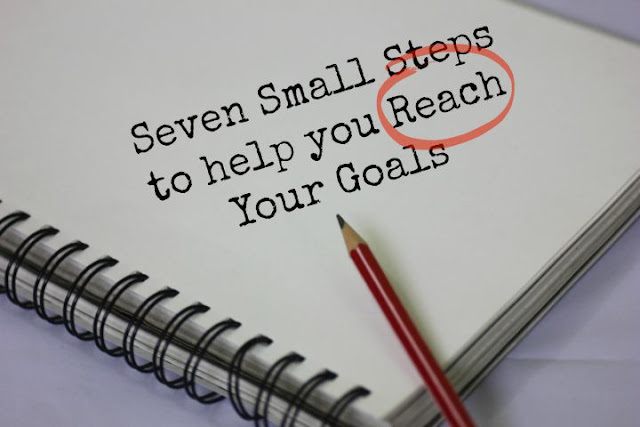 I didn't even realize I was following these seven steps for my blogging goal until I came across the list the other day. Perhaps you'll find these steps helpful too. 1. Write it down. I wrote my goal that I would complete 100 postings in 100 days. 2. Share it with someone. I then shared it with dozens of people by posting my plan on my blog. 3. Break it into smaller tasks. I wrote one posting every day. 4. Put a deadline on it. The deadline was 100 days from the first day -- November 25, 2008. 5. Plan the steps to achieve it. I decided on the topics. I made space in my day to sit at my computer and work on one post a day. I read information online about how to blog and I visited other blogs for ideas and know how. I read up on how to do some of the technical stuff. 6. Focus daily on it. I kept the goal fresh in my mind. I visited other bloggers for inspiration. 7. Take immediate action. I sat down at my computer and began my first post -- as my post title indicated, I just jumped in. I put my hands on the keyboard, typed, deleted, and typed some more! Wishing you success with your own goals -- be sure to enjoy the journey! 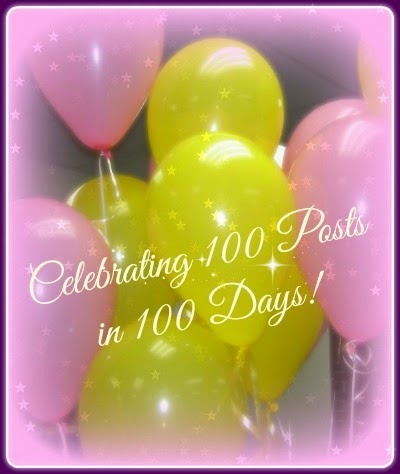 100 Postings In 100 Days! It's celebration time! 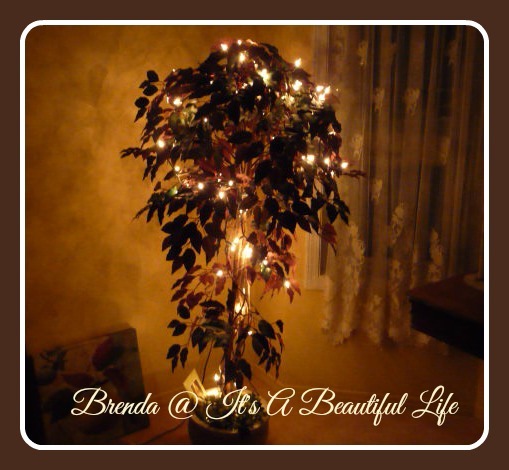 One hundred days ago, I published my very first post on It's A Beautiful Life. One hundred posts later and it's time to get out the champagne ... to celebrate my little achievement. I never imagined that setting the challenge to do 100 postings in 100 days would impact my life so much -- I wanted to use blogging as a way to develop the habit to write more regularly and consistently. To quit 'aspiring' and actually write, not just talk about it. And here I've done it! That's why I'm so excited. What fun it's been too! I've met so many interesting and creative bloggers. 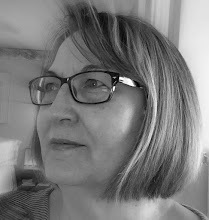 I've been learning my way around blogland, wrestling with the 'technie bits' as I tried my hand at uploading photos and new backgrounds. Not to forget the joy of anticipation as I sat here at my computer every day thinking up new posts that would hopefully spark readers' interest. So thank you, Beautiful Readers, for making this new beginning so enjoyable. 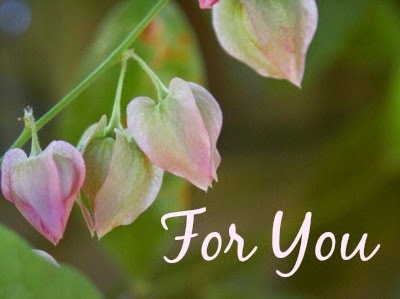 I appreciate hearing from so many of you -- it has made the beginning of my blogging journey sweet and oh so worthwhile. In response to the question some of have asked, what will you do now? I'm having too much fun to stop now. I may not be here every single day, but I'm certainly going to continue blogging. I'd miss you too much. 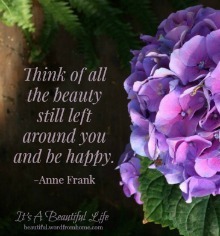 Here's wishing you a beautiful day! As much as I love giving and receiving gifts that come wrapped in pretty paper, I've learned that often the most precious gifts we give or receive don't arrive in ribbons and tissue. Sometimes these gifts are all the wonderful things we've been learning over the past months that have changed us in some way for the better. The perfect insight someone shared in a book that now helps us in our own struggles to find the answers we need. A comment someone made even in passing that suddenly lights up with inspiration. A posting here in blog-land that gives encouragement just at the right time. We might jot these little 'gifts' in our journals and notebooks as reminders for ourselves. But wouldn't it be wonderful to take these bits and pieces and create outlets for the inspiration we've received to flow to others? To allow our knowledge and ideas to move freely and gracefully from our own lives, letting them now refresh and nourish someone else. Booker T. Washington once said people should lay hold of something that helps them and then use it to help somebody else. 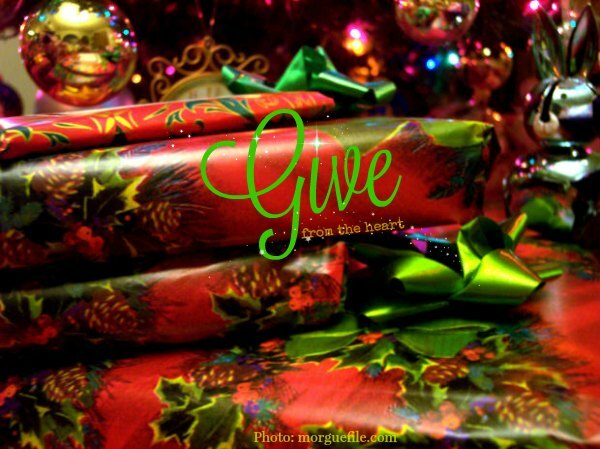 Mary Kay Ash shared a similar thought when she noted how often we are the recipients of countless gifts from people and how we can, with gratitude, pass on to others something of what we have received. What inspired idea helped you make your home more peaceful or organized? What great tip is making your business work better? What truth has come alive for you and is positively changing how you perceive your life? Blogging can be a wonderful platform for doing this very thing. Let's be bold to share our lives and the things that have helped us. Someone out there needs it.